When she is only seven years old, María Virginia Farinago’s destitute parents send her away to be a servant for a wealthy mestizo family. Maria is Quichua, an ethnicity that the ruling mestizos have long treated as an inferior race. She dreams of escape from her abusive employer, but the longer she stays with the mestizos, the more returning to a life of poverty becomes unthinkable. Now that she’s trapped between two worlds, how can she forge a new life for herself? Published by Delacorte Press, 2011. About the author: Laura Resau has written eight books for children and young adults that draw on her experiences as a traveler and ESL teacher in Mexico, Ecuador, France, and Guatemala. 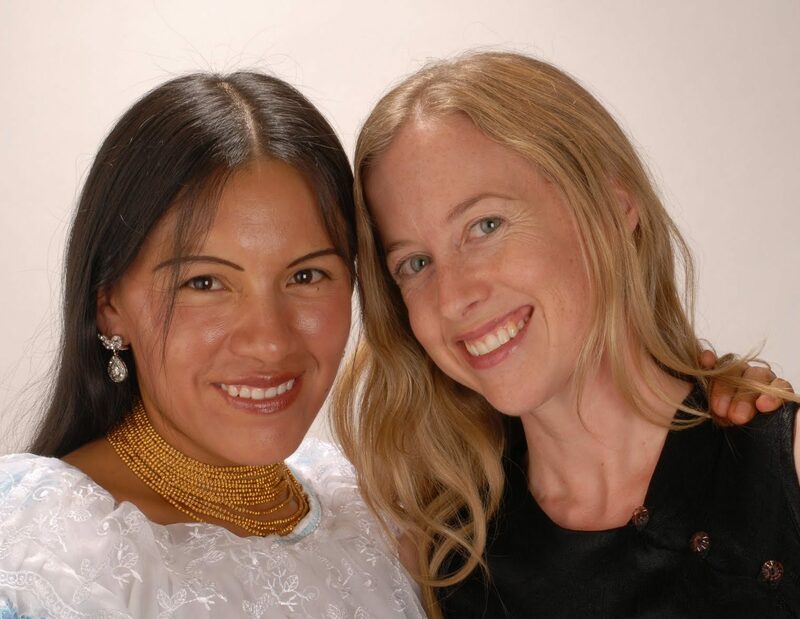 She met María Virginia Farinago, an indigenous Quichua woman, when she was teaching at a community college in Ecuador. 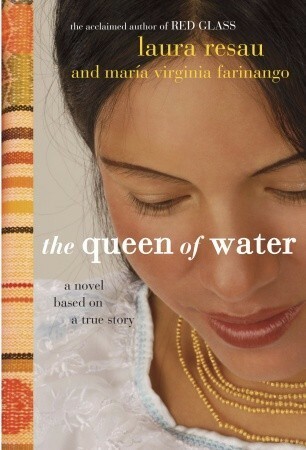 The two women decided to collaborate on writing Farinago’s incredible history, a project which became The Queen of Water. Farinago went on to run successful Andean arts business. She has since earned a masters degree in psychology, and is now a practicing psychologist. I think of the elementary school diploma the Doctorita promised. How can I throw that away? And what if my parents don’t even want me back? Or what if they do, and I never see Jaimito and Andrecito and Niño Carlitos again? What if my parents force me to live in their dirty house without rice or meat or books or a TV? What if Papito still beats my mother? What if he tries to beat me? He’s much stronger than the Doctorita. I look at the scars on my legs from when Papito whipped me as I dangled from the rafters. The scars have faded a little, but I doubt they’ll ever disappear. I take one last look at the phone booth through the window of Don Luciano’s store. My nose isn’t throbbing as much now, and the swelling will probably go down in a few days, and the welts from the hangers will fade in a week – a small price to pay for a diploma and a house full of books and weekly MacGyver access. I fold the worn paper with Matilde’s phone number on it, turn away from the shop and trudge home. A scene flashes in my head: MacGyver telling the slaves, “Go, you’re free!” and the slaves just standing and staring. I understand why. Fear feels familiar. And freedom feels terrifying.